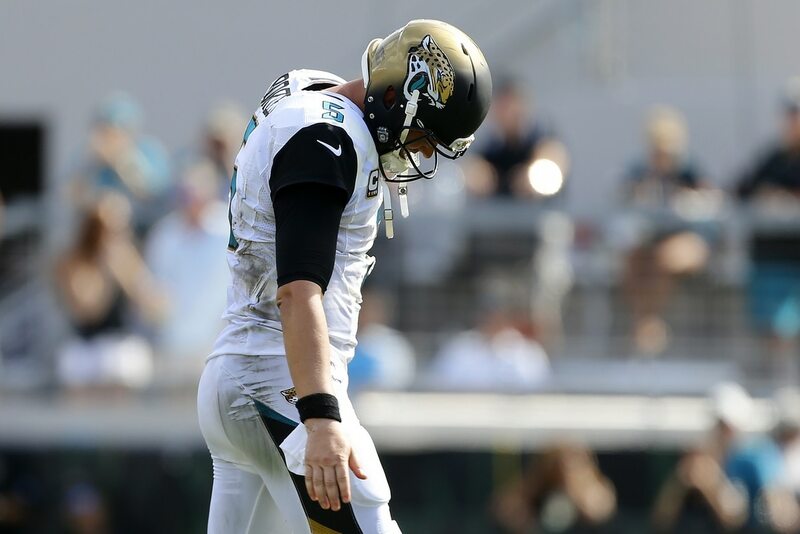 Blake Bortles was having another awful game on Sunday as the Jacksonville Jaguars took on the Houston Texans at home. Following his second fumble of the day, down by the score of 20-0, he was benched in favor of Cody Kessler. Bortles has been awful most of the year, and the Jaguars have lost games because of his ineptitude under center. Getting benched for Kessler, however, is a new low for the former No. 3 overall pick. Blake Bortles has been benched for Cody Kessler, the guy who wasn't good enough to get on the field for the 0-16 Browns last year. How the mighty* have fallen. *Blake Bortles was never actually mighty. Blake Bortles facts: Bortles has never not been benched during a game. Then, of course, there is this. The Jaguars drafted Leonard Fournette over Patrick Mahomes and Deshaun Watson. Fournette is inactive as they bench Blake Bortles for Cody Kessler because Watson is lighting them up.